Horsepower Squared. 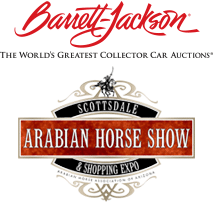 Check out Barrett-Jackson and World’s Greatest Arena Polo event in one. Get limited VIP tickets now. It’s only fitting that one of the world’s most acclaimed arena polo competitions will return to the United States in 2017 and take place within a globally recognized automotive lifestyle event. The Arena Polo Party at Barrett-Jackson will include two days of matches pitting USA polo against the UK, including the most prestigious match in arena polo – The Townsend Cup for which teams from England and America have been competing since 1928. There’s no better place to play the greatest arena polo match than at the greatest collector car auction – Barrett-Jackson. Within the facilities used by Barrett-Jackson is the Equidome, a top indoor equestrian arena with seating for 4,000 spectators. The best of the best are headed to Scottsdale, including American 10-goal arena polo player Tommy Biddle Jr., who will be pitted against United Kingdom 10-goaler Chris Hyde. To get your tickets to The Townsend Cup and The Barrett-Jackson Collector Car Auction, click HERE or visit Barrett-Jackson.com and click on “Tickets.” Tickets to Barrett-Jackson and the Arena Polo Party are just $20, and an additional $30 will get you VIP seating for the ultimate arena polo match! We look forward to seeing you in January!